This June, 86 Johnson Shoyama Graduate School of Public Policy (JSGS) students will receive their degrees and join over 800 alumni around the world. “The MPA challenged my perspective because it shifted my focus from being a citizen affected by public policy to being a public servant with the capability of influencing public policy,” said Penn, as she reflected on her recent graduate studies. Since its establishment in 2007, JSGS’ students have benefited from the high calibre and practical learning environment of the programs offered at the JSGS. Master of Public Administration (MPA) graduands Ly Pham, Bethany Penn, Shawnakay Sterling-Daley, and Nadiya Miftakhova are four examples of students that have experienced growth and success. These MPA graduands have come a long way since beginning their program. Their experiences have challenged them and expanded their minds, instilling a sense of social responsibility and a drive to make a difference in the public sector. The Executive Internship program was an opportunity that these four graduands did not want to pass up. Not only did it provide many valuable lessons in public policy analysis and public sector leadership, it also served as a great opportunity for these students to visualize and set future career goals. "It was like a test drive of careers. The internship experience put all of the lessons into perspective and it challenged the theoretical explanations learned in class,” said Sterling-Daley, as she recalled her internship experience in the Deputy Minister’s Office of the Saskatchewan Ministry of Advanced Education. Both Pham and Penn received placement at Innovation Saskatchewan for their internship, while Miftakhova worked for the Crown Investments Corporation of Saskatchewan and Sterling-Daley interned with the Saskatchewan Ministry of Advanced Education. While reflecting on the invaluable experiences at the JSGS, they commended the environment of kinship and collaboration between themselves and their fellow MPA students, a particularly important aspect for new Canadians like Sterling-Daley. Both Penn and Pham learned a lot from the life experiences of their classmates, especially those from overseas. For Miftakhova, the MPA served as an opportunity for self-reflection and evaluation, and she recognized the personal growth she experienced as one of the highlights of her education at the JSGS. "I learned a lot about myself and I was able to identify my own strengths and weaknesses," said Miftakhova. "The MPA program provided me with the knowledge and skills I need to become an effective public servant." While they continue on to the next chapter of their journey, they leave behind a few words of advice for future JSGS students. They suggest taking advantage of all the events the School offers, everything from the poster and case competitions to formal networking events like the Tansley Lecture and the Wine and Cheese event. Most importantly, they encourage students to approach professors and executives-in-residence for advice and mentorship, noting that their wealth of knowledge experience is paramount to understanding more about public policy and administration. As these four graduands prepare for convocation, they are excited for what is to come and look forward to building successful and prosperous careers in the public service. Entering the workforce may be a daunting task, but they are excited to showcase their knowledge and skills and put them to use in solving policy problems and issues faced by Saskatchewan. On June 5, 22 MPA, five Master of Public Policy, three Master of Northern Governance and Development, and two Ph.D. in Public Policy graduates will cross the stage at the University of Saskatchewan Spring Convocation. 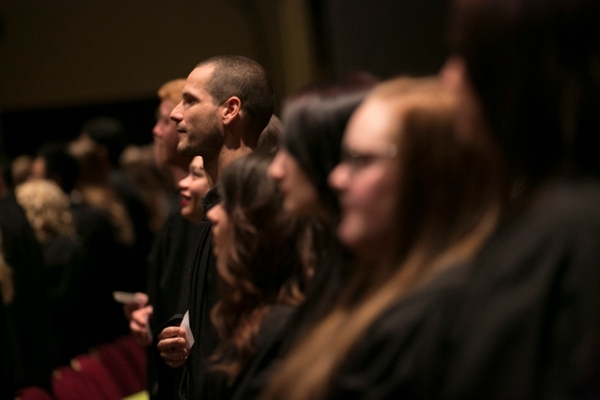 The following day, on June 6, 20 MPA, 19 Master of Health Administration, and 15 Master’s Certificate graduates will officially complete their programs at the University of Regina Spring Convocation.